In a world overrun with gargantuan pickup trucks and bulbous crossovers, a stately sedan car is a seriously elegant way to get around. 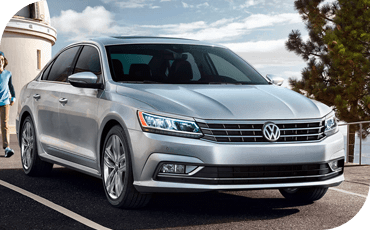 The 2018 Volkswagen Passat is in our inventory now at Carter Volkswagen, and we think it's the finest such car for the money you'll find! To prove it, we're comparing it head-to-head against one of its more interesting competitors: The 2018 Mazda6. There's no accounting for taste, but the muscular stance and understated body lines of the VW Passat give it a timeless look, while the Mazda6 is all contours and curves — but it's what's under the sheet metal that truly counts. 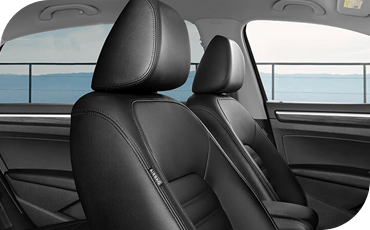 When you want precision engineering, thrilling performance and a comfortable cabin for you and all your passengers, the 2018 Volkswagen Passat is just a better choice. Find out why below, or just visit to take a test drive and see it for yourself! The 2018 Volkswagen Passat puts the "size" in midsize sedan — offering superior legroom in both rows of seats compared to the 2018 Mazda6, plus a much larger trunk. Yet, somehow, the VW Passat is still a touch shorter from front to rear bumper than the Mazda6. It just makes the most of the space it provides. You'll also get an 8-way power adjusting driver's seat on the 2018 Volkswagen Passat — totally standard. 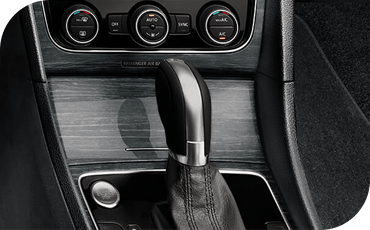 The base model Mazda6 provides a manual driver seat instead. 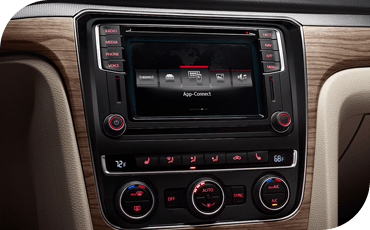 While Bluetooth is available to connect your phone on both these cars, only the 2018 VW Passat is available from the factory with Apple CarPlay™ and Android™ Auto. These technologies go a step further than Bluetooth, mirroring your favorite apps right in the infotainment display. It's the easiest way to connect your modern smartphone for hands-free texting and audio streaming. You'll have to get a dealer upgrade to get those features on the 2018 Mazda6. What's more, the available VW Car-Net® Security & Service package includes a smartphone app that lets you manage elements of your 2018 Volkswagen Passat remotely. Left the sunroof open and it's started to rain? You'll get an alert right on your phone. 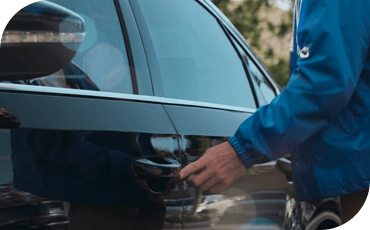 You can even lock and unlock the doors remotely and find where you parked. The Mazda6 simply offers nothing like it. When it comes to highway cruising, the entry-level 2018 VW Passat uses much less gas than its Mazda counterpart. It'll achieve up to 36 highway MPG! The 2018 Mazda6 maxes out at just 33 MPG. Or, for truly outrageous acceleration, you can pick up the 2018 Volkswagen Passat GT, which is the only model available in our comparison with the power of a V6 engine! The Mazda6 offers an engine upgrade of its own, a turbocharged inline-four that generates 250 horsepower. But that's nothing for the Volkswagen. The 2018 VW Passat GT cranks out 280 horsepower! If something goes wrong with your vehicle down the road, will you be covered? Keep that in mind as you consider the 2018 Mazda6, which comes with a standard 3-year/36,000-mile bumper-to-bumper manufacturer warranty. Volkswagen takes pride in the quality and longevity of their signature German engineering, and stands behind it with a 6-year/72,000-mile bumper-to-bumper warranty! It's America's best warranty, and it shows you that a Volkswagen will still be a great car long after it's first years are behind it. It's a close contest in this category, even we can admit. Both these cars come with available driver assist features like pre-collision automatic braking, lane keeping assist and adaptive cruise control. These features can help you avoid an accident by intervening totally automatically as you drive. However, there's one more trick up the sleeve of the 2018 VW Passat: available Park Assist with Parking Distance Control. The 2018 VW Passat can measure any parking space, determine if it will fit, and then steer itself into the spot! Whether perpendicular or parallel parking, you just operate the gas, brake and shifter. Your Volkswagen will take care of the rest. You won't find that level of parking assistance on any 2018 Mazda6.